I have changed themes. This theme is called First, and it comes from Themehaus. I think this new theme meets my needs by being readable and straightforward. Themes are at the core of web sites like this, which are created using WordPress, which I have used to create this site since 2007. In all that time, I have always used a theme called Panorama. As much as I liked it, computer power grew as did my content, and I felt I had outgrown it. As I searched new themes and tried them out on my test blog, I found that they either didn’t work well with my content, didn’t mesh well with my ideas about how the internet should work, or didn’t give me enough options to make my site unique. Finally, though, along came First. I should say that I don’t like web sites that ask me to guess how to navigate them. I don’t like web sites that patronize me or assume I am an idiot. I don’t like web sites that are all presentation and no content. I don’t like web sites that play hide and seek in an effort to seem artistic or mysterious. I don’t like web sites whose design is an insult to my ears or eyes. I don’t like the way social media sites aren’t searchable, thus not allowing them to serve as a journal. I don’t like the way my content drowns in the stream of social media chatter. Hopefully this new theme will allow me to express myself clearly and creatively. I would love to hear what you think about it. 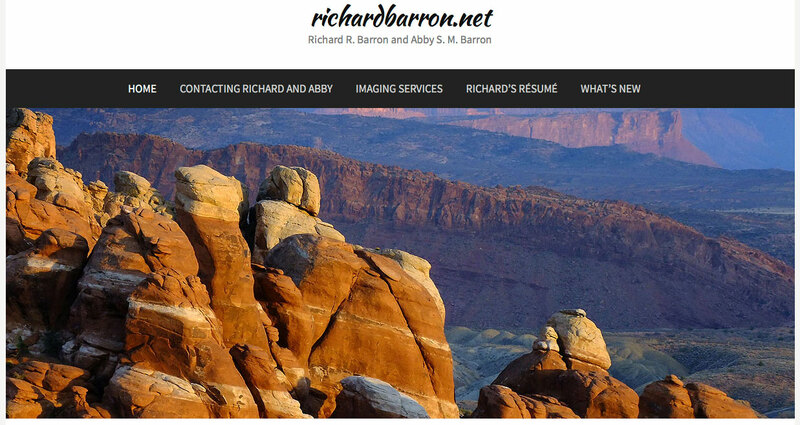 On the home pages of each of my sites is a large image area at the top, which changes each time you load the page. When viewing individual posts, it stays out of the way. This one is nice, Richard. Especially when I’m viewing on a mobile device, which is increasingly more often these days. And I pretty much agree with each of your criticisms about other sites. My first impression is that it feels ‘retro’. Like you want it to be a printed page instead of a webpage. I think it looks better on my phone than on my computer. So maybe it’s just that there’s no clear delineation between the page and the sidebar, header and footer. Would you be willing to do something about the ‘Find out more’ sidebar listing every page back to 2005? My first reaction is that it’s beautiful! Way to go! I will enjoy the experience. >>Would you be willing to do something<< Absolutely not. It's one of my favorite features, that I can see and explore old content. Hiding older content is one of the reasons I don't like social media.